The rematch wasn’t quite what we hoped for after a 7-game thriller of 2013. But with the Western Conference being far superior to the East all season, were you really surprised the NBA Finals ended up following suit? The San Antonio Spurs made easy, and I mean easy work of the two-time defending Champion Miami Heat. The Spurs finished off the Heat in 5 games, but if not for missed free-throws late in game 2, it could have been a sweep. It looked like it would be a close, hard-fought series after through two. Game 1 was close until LeBron James suffered the cramps stemming from the AC going out at the AT&T Center in San Antonio. That’s when the Spurs pulled away. But the Heat bounced back in game 2, thanks in part to those previously mentioned missed free-throws by the Spurs. But then the series went back to Miami, and San Antonio showed their road-warrior spirit, and just ran the Heat of their own court, TWICE. It was surprising to see Miami, a team led by LeBron James, Dwyane Wade and Chris Bosh to show so little fight. Wade was absent most of the season, looking like an old 32-year-old despite all the regular season rest he was given. Miami didn’t use Bosh appropriately and James, despite being the best player on the planet, is only one person. It didn’t help that their starting point guard Mario Chalmers, and bench guys like Ray Allen, Shane Battier and Norris Cole gave them close to nothing on either end of the floor. Ok, that’s enough about what the Heat didn’t do. Let’s talk about what the new NBA Champs did to win. They played team basketball. When you can name 3 or 4 players all worthy of winning Finals MVP, you know you’ve done something right. Tim Duncan, the 17-year veteran was the most consistent, surpassing Magic Johnson for most double-doubles in Finals history. Manu Ginobili put a horrible 2013 Finals behind him and turned back the clock. I mean can we talk about that poster dunk followed by a 3 in game 5? How about Boris Diaw, a guy who couldn’t stay on the Charlotte Bobcats roster a year ago. As a big man, he was a better facilitator than all of Miami’s guards put together in this series! And finally the eventual winner, 22-year-old Kawhi Leonard. After foul trouble kept him off the floor in games 1 and 2, boy oh boy did this kid step up and put San Antonio on his back. Big shots, big defense. It was great to see. In fact, basically everything the Spurs did in this series was great to watch. The unselfish ball movement, the consistent defense. Basketball fans got to enjoy the work of Gregg Popovich, who is in the conversation of greatest coaches to ever grace the sidelines. It doesn’t matter what pieces he’s given, he finds a way to make them fit into his system. And it’s a system that has made San Antonio, a small market don’t forget, the toast of the NBA for nearly two decades. So that’s it. Another great NBA season is over. But with the draft 10-days away, as well as free agency upon us, the story-lines continue. Who goes number 1 to Cleveland? Will this loss mean James opting out and leaving Miami? Will Duncan retire on top? Will Kevin Love be with the Timberwolves come the start of next season? What happens with Donald Sterling and the Clippers? And so much more. And then there were 2. It’s a rematch of the 2012-13 NBA Finals, with the only difference being the team holding home-court resides in the West. Before I breakdown what I see happening, let’s look back to what went down in the Conference Finals. For a team that worked very hard to get home-court advantage, the Pacers looked like they forgot the goal is to WIN in the playoffs. After making things tough on themselves in the 1st two rounds, Indiana was out of this before it started. Sure they forced it to 6 games, but even in wins they didn’t look impressive. Lance Stephenson became a distraction unable to back up his words. Roy Hibbert finished the playoffs with 4 games where he didn’t score. The defense wasn’t up to their normal standards and turnovers continued to plague them. Oh and the Miami Heat have LeBron James. And Dwyane Wade. And Chris Bosh. And they know how to win, at home AND on the road. It’s pretty simple. This was the story of holding home-court. Blowouts for the home teams is how the first 5 games went. You can argue Serge Ibaka going down for games 1 and 2 turned the series in San Antonio’s favor, and it sure helped, but he did return to get it back to a place where OKC had home-court again, and a chance to advance tied 2-2. But the Thunder defense was not good, Kevin Durant was exposed and they didn’t get help off the bench. The Spurs bench can hurt you in so many ways, and they proved it in the clincher when Tony Parker went down and a guy like Boris Diaw helped close out Oklahoma City in overtime. Oh and Tim Duncan thinks he’s 30 again. That helps. Here we are. A rematch of last seasons NBA Finals. The Spurs looked to have the championship in the bag late in game 6. Then everything went right for the Heat, including a game winning Ray Allen 3. A game 7 win sealed Miami’s 2nd straight championship. And now it’s the question of dynasty or revenge: which will be the ultimate headline? On the one hand, with how easy it was for the Heat to get out of a very down Eastern Conference, you’d think it’s got to be then. And on the other, you’ve got the Spurs who finished with the best record in the league, making their way out of a stacked West. They’ve proven themselves against the top teams this year, while Miami has bested the West’s best the past two years. So which do I think comes to pass? Revenge is a dish best served on the games biggest stage. Give me the Spurs. I said all along that the Thunder would win it all, but if OKC didn’t make it to the finals, that I’d take the West representative. San Antonio has been consistently great for nearly 2 decades. Yes, Tony Parker is questionable with an ankle injury (boy do ankles HATE point guards huh? ), but knowing him and the Spurs way, if he can put any kind of pressure on it, he’s on that court. That heart, plus the depth of San Antonio vs the Heat depth, is the advantage I give the Spurs. I know, I know. LeBron James is the best basketball on the planet. I’m still going with the Spurs in 7. Final answer. Now tell me if you agree with the team I think is hanging another banner! 7 games again. We deserve it as fans. Stretches of this season were dull and after a great 1st round of the playoffs, the best game was Spurs/Thunder game 6. This fairly predictable finals match-up dictates high drama every game. We want, and I believe we will get, at least 6 hotly contested games. No more of this home team blowout non-sense. Big 3s, defense and two of the best to ever play the game (James and Tim Duncan), trying to add another ring to their legacies. These are two fantastic organizations, and I cannot wait til Thursday in San Antonio, the site of game 1. Enjoy it NBA fans. Enjoy it sports fans. Just enjoy. After a fun first two rounds of the playoffs and here are, down to 4 teams. Out West you’ve for last years runner-up San Antonio Spurs, and MVP Kevin Durant’s Oklahoma City Thunder. And of course in the East you have a rematch of last season’s Eastern Conference Finals. 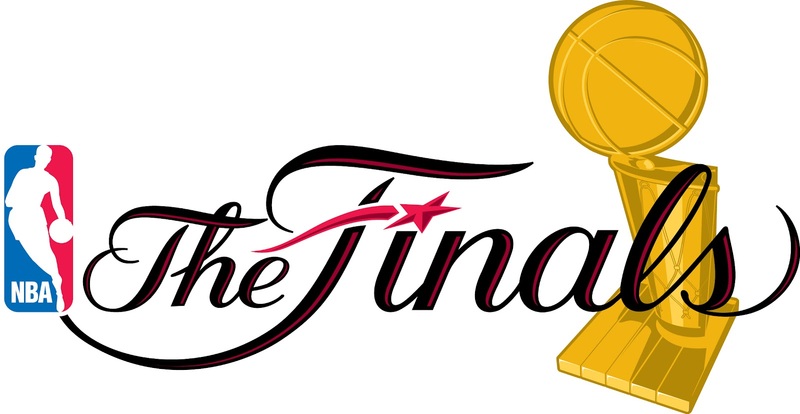 The top-seeded Indiana Pacers, and the 2-time reigning World Champion Miami heat. After a 5 1st round series going 7, the top 2 seeds in each conference have advanced, show just how hard it is for low seeds to make it through all 3 rounds of the playoffs leading up til the finals. So here’s what I see happening we march one step closer to determining this years champion. It’s the match-up we all predicted back when they were the only two East teams over .500. It’s the rematch the Pacers worked so hard to ensure would happen with home-court advantage after losing game 7 in Miami a year ago. Despite a bad 2nd half to the season, and a strange post-season, Indiana is here. Miami had a fairly easy road here in the first two rounds of the playoffs, and you know they don’t care if they have to go into Indy and win. They did show some stretches that could be concerning in their match-up against the Brooklyn Nets, but showed they still know how to execute late game situations better than most teams. So what happens? The Pacers biggest advantage comes in the front-court, if and only if, Roy Hibbert plays closer to his 28 point performance, and not his 0 point playoff performance. But LeBron James is the biggest advantage of them all, and to that how well Ray Allen has looked, and how healthy Dwyane Wade has looked, I’m not sure home-court comes into play here. So give me the Heat in 6. In a super talented, hotly contested West, the top 2 seeds found a way to get it done and advance again. OKC’s defense has been spotty at times this postseason, but they’ve come up big when needed. The same can be said for San Antonio, though I think the Spurs look like the best team of the 4 left standing after shutting down the up-and-coming Portland Trailblazers squad. I’m most looking forward to the point-guard match-up in this one. Tony Parker has carried this team throughout the playoffs, and Russell Westbrook has been dominant offensively. It’ll be interesting to see which bench provides the most consistent spark. I picked the Thunder to win it all before the playoffs began, and I think OKC wins it in 7. So that it, I think we’ve got a 2012 NBA Finals rematch on top, pitting the two best players on the planet and their deep teams against each other. I’ve never enjoyed the first round of the playoffs before. They say any team can beat any other team on any given night. And in the NBA Playoffs, that was true. The only series that ended quickly was the World Champion Miami Heat knocking out the Charlotte Bobcats in a 4-game sweep. But even 3 of those 4 games could have gone either way. Let’s start in the West, where all season the competition was at a high level, and man-oh-man, was every series fun and hotly contested! You’re going to really earn representing the Western Conference in the NBA Finals this year. Vince Carter’s game winning 3 gave them a 2-1 series lead, but San Antonio answered to make it 3-2. The Mavs would not go quietly, forcing a decisive game 7. But the Spurs said enough was enough, and easily eliminated Dallas at home. Manu Ginobili resurfaced in the clincher, while Tony Park continues to do what he does best, help his team win. The troubling part of the Spurs showing in this series was their defense, though that turned itself back on in game 7 as well. Memphis was maybe the best number 7 seed in the history of basketball. After digging themselves in a hole early when Marc Gasol went down, they got hot in the second half, and earned the last spot in the playoffs. The Thunder had to compete with a top defense and they had their issues. It was an even series throughout, with the Grizzlies unable to close some games out late, leading to a rare 4-straight overtime games. But they were able to close out enough to put OKC on the brink of elimination in big part because of the defense played on MVP-favorite Kevin Durant. But in game 6, Durant woke up big time, and stayed awake to lead them to into the 2nd round. And don’t forget his sidekick Russell Westbrook, who finished with two triple-doubles in the series. Both teams blew the other out at home. But after LA owner Donald Sterling said some things (you know what things), and was subsequently banned for life, the Clippers played with renewed vigor and took care of GSW on the road. They were pushed to a game 7 (who wasn’t?) and in a thoroughly enjoyable, they pulled it out, thanks in big part to the play of DeAndre Jordan and clutch free-throw shooting. Doc Rivers after said he’d remember this game 7 because of everything that happened and how his team responded. The Warriors played well, despite losing their best post presence before the series started, but it wasn’t enough as the Clips nearly doubled them up in the paint. So much offense! Not a lot of defense. I picked the Rockets to win this one because they were playing better heading in and have a better bench. But the Blazers reverted back to the team they were early in the year, and stole two on the road to open up, and won the series 4-2. A big reason for the advancement? The outstanding play of LaMarcus Aldridge the entire series, as well as the cold-blooded clutchness (that’s a word right) of one Damian Lillard. Now let’s break down the Eastern Conference. The Pacers were so focused on getting the number 1 overall seed all season, in case they faced the Miami Heat in the Eastern Conference Finals again, that they forgot they need to make it that far in the playoffs first. They won’t. Atlanta grabbed home court in game 1, and again in game 5. Roy Hibbert, who many thought coming into this season was the best big man in the NBA, didn’t play like it. Rebounding and offense was an issue for the All-Star. But don’t worry, we found Roy, at least kind of, in game 7. But the reason they won the game, and the series, Paul George stepped up big time. And they’ll need more of that on both ends of court going forward. No one really saw Charlotte getting into the playoffs, but in what was a weak Eastern Conference for much of the year, they did. Their defense carried them, while Al Jefferson and Kemba Walker did the rest on offense. They played well, with the exception of a blowout in game 3. But the reigning champs were just too much for them. Charlotte goes back to being the Hornets, so the Bobcats finish their tenure with this lone playoff appearance, and no wins on their resume. But look for this team to be back and even better next year. They head into the next round the most rested, and most experience team left. Paul Pierce and Kevin Garnett were brought in for the playoffs. Yet they sat the entire 4th quarter of game 5 as the Nets made a furious comeback from down 26 to tie late. Brooklyn lost. I said before the series that the play of the back-court would be the difference, and it sure was. Kyle Lowry and DeMar DeRozan outplayed Deron Williams and Shaun Livingston in every facet of the game. Fast-forward to the waning seconds of game 7. A reoccurring issue between these two teams was the Nets inability to get a ball in late. The Ratpors were all over their in-bounds plays, and stole one with 6.2 to go. So the season came down to defense, and who made the final play? Paul Pierce blocked a Lowry drive, after KG and Williams swarmed. But it was Joe Johnson, the Nets best player all season, that put this team on his back and played the most consistent ball of them all in black and white. So now, the lowest seed left, and only team to win on the road during game 7, the Nets move on to face the reigning world champs, and a team they beat 4 times in the regular season. Losing Derrick Rose for the entire season, again, and trading away such a big piece in Luol Deng could have left the Bulls with a good excuse to fall in the East. But did this team fights for 48 minutes, and were lifted by Defensive Player of the Year Joakim Noah to home-court. And it took awhile for the Wizards to find themselves this season, but when they did… boy oh boy they find a good team. John Wall and Bradley Beal have quickly established themselves as one of the best back-courts in the league. Washington enters well-rested, which could be important for a young squad. I’m sticking with my original pick of Heat in 6 of Brooklyn in round 2. I wanted to pick the Nets, and if they’d had an easier time with the inexperienced Raptors, maybe I’d give them more of a chance. Miami will find a way to make the plays they didn’t in the regular season down the stretch, especially with a healthy and rested Wade on the floor. The best chance Brooklyn has lies on the glass, in the hands of Joe Johnson, and whoever is tasked with defending LeBron James. That will probably be a team effort led by Shaun Livingston and Alan Anderson. The King will get his, but if they make it hard on him, that will be huge. The Thunder played very good defense against Memphis, while the Clippers thrived on offense against the Warriors. Neither had the series was crisp, but here they are. I picked OKC before the playoffs in six, and I’ll stick with that. It’s going to be a close, hard-fought series, and while I think the scores will be high, in crunch time, I think the Thunder will dig deeper and get the stops needed. (Originally I had Spurs in 6 over Houston), but here are the Blazers after they won in 6. I’m still taking the Spurs in 6 because of experience and if they an defend the way they did in-game 7, they should be okay. But man did Portland show us something. Or rather remind us of something . The Blazers were so hot to start the season, and they got back to doing those things that got them off to the quick start. Aldridge was the best player on the court, and Lillard showed in just year two he’s not afraid to take the biggest shot. Let’s just say, I wouldn’t be surprised if the regular season’s best team falls to the upstart team from the north-west. So there you go, that’s what I saw from the magical 1st round, and how I think round 2 goes. Here’s to another fun and nail-biting round of the NBA Playoffs. Remember when the Brooklyn Nets were 10-21 and coming off an ugly blowout to the San Antonio Spurs on the final day of 2013? Remember when they opened up 2014 with a Joe Johnson game-winner over the Oklahoma City Thunder the next day? Sound familiar? It should. Except for a slightly better record to start things out last year, it’s the same thing that happened last season during the Nets inaugural season in Brooklyn. Two years in a row this team has turned things around after a blowout loss and a big win over the top teams in the Western Conference. Last year Brooklyn finished the regular season at 49-33. They were never 11 games under last season, and yet only finished with 5 more losses than this year. Two different teams in may ways? Sure. But they do share similar regular season story-lines. However, that is where the similarities end. Because what we thought would be a rematch of the Bulls-Nets series of a year ago, has turned into a 3-6 match-up between division foes. 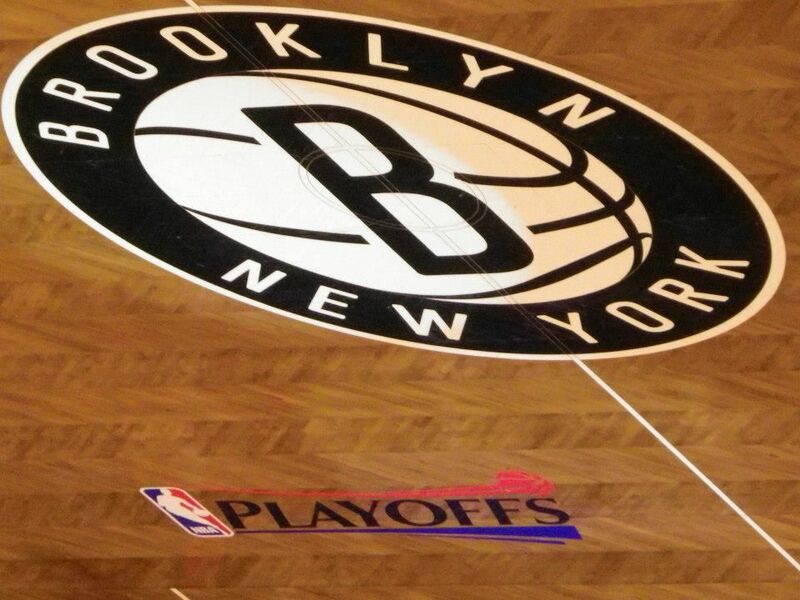 A rough end to the season for Brooklyn dropped them to the 6th seat and into a 1st round bout with the Toronto Raptors. The two teams split the season series 2-2, and boy was their final match-up of the regular season exciting. Yours truly was there in person, and when I say it’s one of the best basketball games I’ve ever seen, I’m not exaggerating. Runs, big shot after big shot by both clubs ending in a Nets 101-9 win at Barclays Center. Toronto wasn’t supposed to be here. Going into the season, thoughts were they’d tank the season and hope to get a top 3 pick in this years loaded draft, and maybe land Canadian star Andrew Wiggins. That was made, what we thought more evident when the Raptors traded away Rudy Gay early in the season. Yet here we are, getting ready to watch them host a first round match-up as Atlantic Division Champs. Kyle Lowry and DeMar Derozan pu this team on their athletic backs and drove them into the postseason. Athletic. Young. And hungry. That’s the Toronto Raptors in a nutshell. And the Nets should be afraid. What couldve been a defensive battle has turned into an offensive slug-fest. Both teams have been crazy good in 2014, but as the Nets limp into the playoffs, the Raptors have continued their hot play. Inexperience up and down the lineup has to do battle with the veteran laden Nets squad. For Brooklyn to have success, they have to limit turnovers. Toronto’s speed can turn those into easy buckets in transition. Not to mention Mason Plumlee, Kevin Garnett and (if he gets minutes), Andray Blatche have to do work down low. Without Brook Lopez, they’ve been limited as far as having a rim defender, and though he’s not a great rebounding big man, Lopez makes you work for 2nd chance opportunities. The Raptors front court of Jonas Valanciunas, Amir Johnson and Terrence Ross are quick, strong and not afraid to attack the paint. But for me, the biggest match-up comes in the back court. Lowry and DeRozan are one of the better scoring back-courts in the league. Deron Williams has issues defending smaller, quicker guards, though Shaun Livingston’s presence will help. So are the Nets better off in the 6th or would they have been better suited for that rematch with the Chicago Bulls? Only time will tell, but I think if both teams play to the high levels seen since January, you can bet it’s going to be a fun and intense series. So what will be some of the keys heading into this series if the Nets want to avoid being knocked out by the Bulls in two consecutive seasons? Kevin Garnett must be healthy. You don’t need 30 minutes from him with Mason Plumlee playing well, but KG’s still a great defensive player, and their only real rim defender. He also has a fire that burns even brighter in the playoffs. This is why he was brought over in the off-season. Since returning from the back spasms, he’s looked very good. Maybe the time off his legs will mean big performances coming up. Deron Williams needs to be on every game. Remember when he carried this team to the playoffs last season? He’s shown flashes of that player this season, but needs to show it more than once or twice a week. Shaun Livingston has been remarkable this season, but Brooklyn only goes as far as D-Will and his max contract can take them. Mirza Teletovic and/or Marcus Thornton need to be consistent sparks off the bench. The Bulls can defend with the best of them, but when these players get hot, it doesn’t matter who is on them. If they can come in, especially if the starters get off to a slow start, and hit a couple of 3s quickly, this team can possibly rattle a young Raptors squad. Plumlee and Livingston need to limit the bad early fouls. They’re too important to be on the bench too quickly. The rookie is the energy of this front court, while Shaun is the same in the back. Starting alongside Williams means you’ve got your two best ball handlers on the court for a majority of the game, and while Alan Anderson and Joe Johnson can handle the rock, that’s not what you want too often. And as for Plumlee, this team isn’t deep at center, especially if you have to limit KG’s minutes. Paul Pierce. Like KG, his postseason pedigree is a huge reason why he was traded for, and he’s shown he can still carry a team on his back. If he gets established early, look out. And the biggest one? Rebounding. They’re a terrible rebounding team, but they still find ways to win. Brooklyn has to try to limit Noah and Boozer from killing them too badly on the boards. The Nets ability to force turnovers will have to help counter act this. There’s no reason this version of the Brooklyn Nets shouldn’t make it out of the first round. The biggest problem last season was toughness. Chicago manhandled every person that took the court for Brooklyn. While this team is perceived as “old,” they’ve shown they’re not afraid of anyone. They’ve looked better overall this season in that department, and should get past their division foes. Falling back to 6 also means advancing on would mean a possible 2nd round date with the Miami Heat, who they were 4-0 against, as opposed to seeing Indiana, who they dropped all 4 against in the regular season. So how far do you think the Nets go? Let your voice be heard and vote on the poll below. With all that being said, here’s how I see the playoffs going from start to finish. Toronto wasn’t supposed to be here, they were thought to be rebuilding. Yet here they are, the 3 seed and Atlantic Division champs. And Washington hadn’t been over .500 since 2009-2010, and started off the season just as bad as Brooklyn did. And out west, the Clippers and Warriors hate each other. Both can run, both have deadly shooters who can get hot quickly. And don’t get me started on their point guards. But for second straight season, Golden State will be without their best post defender in Andrew Bogut, and I see the size of DeAndre Jordan, Blake Griffin and Glen Perkins just being too much for the Warriors to overcome. Memphis is hot coming in, but the Spurs aren’t going down in round one, and neither with OKC. Houston plays little defense, and Portland isn’t any better. Give me Dwight Howard, Chandler Parson and James Harden any day over LaMarcus Aldridge, Damian Lillard and Wes Matthews. Indy has been struggling, but the Hawks tried with all their might not to make it to the postseason, and I think the Pacers will make it look easy. Charlotte might give Miami issues, but I don’t see much more than 1 win and a bunch of close losses. I wanted to pick the Nets, and if they’d closed out on a higher note, I would have. But I they get past the 1st round and no more. Miami will find a way to make the plays they didn’t down the stretch, especially with a healthy Wade on the floor. The Pacers can’t score, but neither can the Bulls. But Chicago’s defense is just better, and I think they find a way. Out west it should be a lot of fun, but the Spurs are better defensively and I just think it’s the Thunder’s time. LA and Chris Paul need a 2nd round appearance, but I think next year is a better year for the Clips to make it any further. Chicago’s good luck runs out. I can’t pick against Miami at home. OKC match-ups up better than any of the other 28 teams in the league with San Antonio, and despite not holding home court, I see a rematch of the 2012 Finals. I think it’s time for my 2013-14 MVP, Kevin Durant, to win his first ring, and I think he gets it. The Heat might make a 4th straight finals, but they’re going to be tired. The Westbrook injury was a blessing in disguise for OKC. It means fresh legs, the bench will be ready to pick up the slack and the sidekick Durant was missing last season. And if it should be Spurs in the finals, I say revenge for last season. The West has been miles ahead of the East all year, and I think it means a championship for whatever team gets out. So that’s it. Nothing left to do but sit back and watch a whole lot of really good basketball for the next month and a half. Oh the horror! 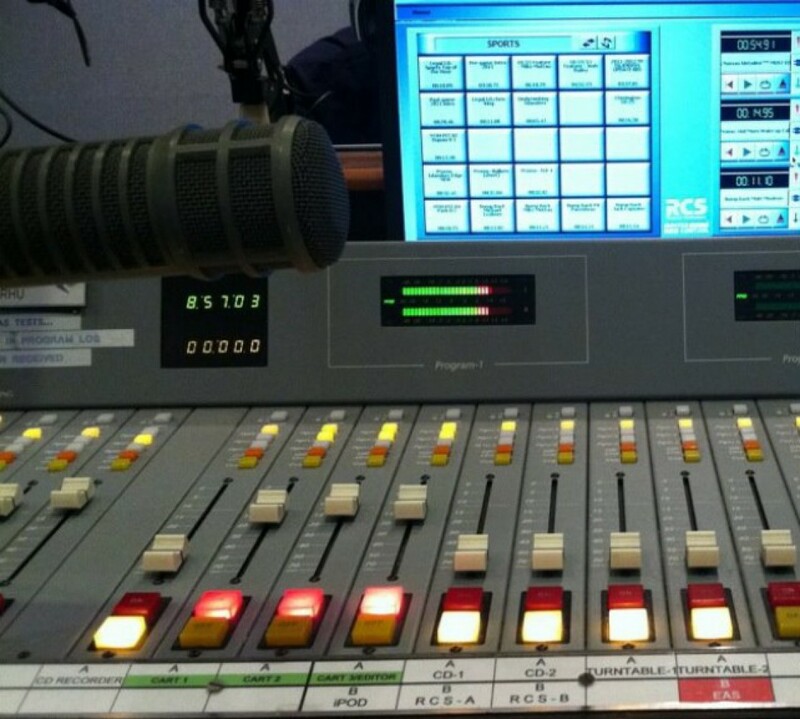 And here’s a not so shameless plug on my personal blog – stick with Sirius XM NBA Radio Channel 217 and on the Sirius XM App before and after games for great analysis and guests throughout the postseason and beyond. Enjoy the run towards a ring everyone. May the best team win!